The aim of The Ethiopia-Eritrea Peace Deal was not meant for peace and development. The aim was to sabotage the economic development Ethiopia was registering so far. It was to stop the construction of the dam on The Abay (Nile) River. The restructuring of METEC (Ethiopia's Military-Industrial complex) is one of the measures taken by the enemies of Ethiopia to slow down the industrialisation process. There is no corruption in METEC. There was abuse of power and some small finacial transaction to some artists or students who were promoting METEC's plans. This can bo seen as corruption. The current situation in Ethiopia is untenable if Eritreans are migrating to Ethiopia in such large numbers. Ethiopia's resources are too small to help such large numbers of refugees from Eritrea and other african countries. The Ethiopian tax payer's money should be spent on the people of Ethiopia in the main. Aliens from Eritrea should be allowed to migrate only in small numbers. Closing the border and allowing foreigners from other countries with visas is the right way to proceed. 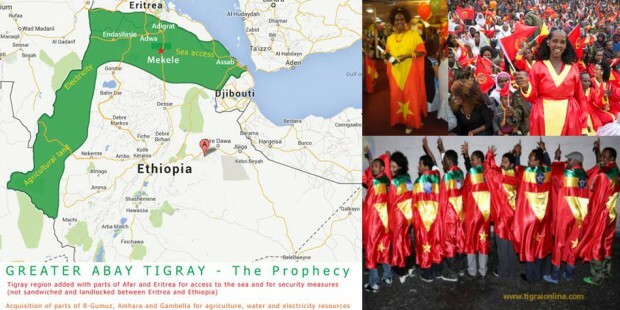 Ethiopia does not have border with Eritrea, Tigray has. Tigray will be part of Ethiopia forever as it is Ethiopia itself. Please stop such stupid comments. Ethiopia has a border with Eritrea, not Tigray. Tigray is one og the small provinces in Ethiopia. Democrat my Digital Weyane friend, you mean our Greater Republic of Tigrai should close its border with the ugum shabo?